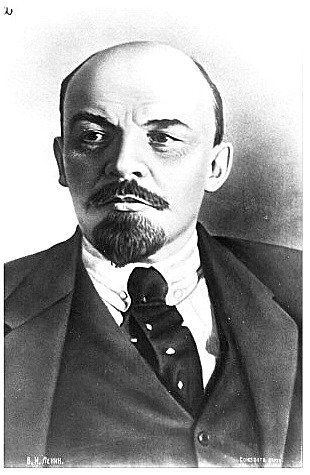 In Defense of Communism: Vladimir Ilyich Lenin- The State and Revolution (1917) Part IV "Supplementary Explanations by Engels"
Vladimir Ilyich Lenin- The State and Revolution (1917) Part IV "Supplementary Explanations by Engels"
IV. SUPPLEMENTARY EXPLANATIONS BY ENGELS. Marx gave the fundamentals concerning the significance of the experience of the Commune. Engels returned to the same subject time and again, and explained Marx's analysis and conclusions, sometimes elucidating other aspects of the question with such power and vividness that it is necessary to deal with his explanations specially. In his work, The Housing Question (1872), Engels already took into account the experience of the Commune, and dealt several times with the tasks of the revolution in relation to the state. 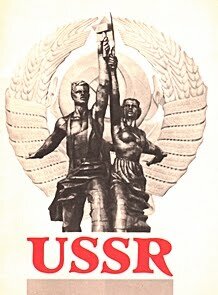 It is interesting to note that the treatment of this specific subject clearly revealed, on the one hand, points of similarity between the proletarian state and the present state--points that warrant speaking of the state in both cases--and, on the other hand, points of difference between them, or the transition to the destruction of the state. The change in the form of state power is not examined here, but only the content of its activity. Expropriations and billetings take place by order even of the present state. From the formal point of view, the proletarian state will also “order” the occupation of dwellings and expropriation of houses. But it is clear that the old executive apparatus, the bureaucracy, which is connected with the bourgeoisie, would simply be unfit to carry out the orders of the proletarian state. We shall examine the question touched upon in this passage, namely, the economic basis for the withering away of the state, in the next chapter. Engels expresses himself most cautiously. 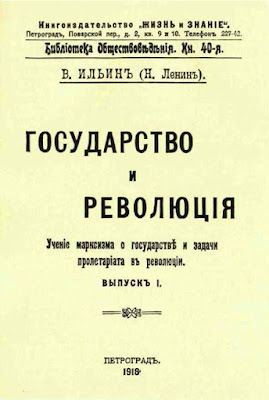 saying that the proletarian state would “hardly” permit the use of houses without payment, "at least during a transitional period". The letting of houses owed by the whole people to individual families presupposes the collection of rent, a certain amount of control, nd the employment of some standard in allotting the housing. All this calls for a certain form of state, but it does not at all call for a special military bureaucratic apparatus, with officials occupying especially privileged positions. The transition to a situation in which it will be possible to supply dwellings rent-free depends on the complete "withering away" of the state. Addicts of hair-splitting criticism, or bourgeois "exterminators of Marxism", will perhaps see a contradiction between this recognition of the "abolition of the state" and repudiation of this formula as an anarchist one in the above passage from Anti-Dühring. It would not be surprising if the opportunists classed Engels, too, as an “anarchist”, for it is becoming increasingly common with the social-chauvinists to accuse the internationalists of anarchism. Marxism has always taught that with the abolition of classes the state will also be abolished. The well-known passage on the "withering away of the state in Anti-Dühring accuses the anarchists not simply of favoring the abolition of the state, but of preaching that the state can be abolished “overnight”. As the now prevailing "Social-Democratic" doctrine completely distorts the relation of Marxism to anarchism on the question of the abolition of the state, it will be particularly useful to recall a certain controversy in which Marx and Engels came out against the anarchists. This controversy took place in 1873. Marx and Engels contributed articles against the Proudhonists, “autonomists” or "anti-authoritarians", to an Italian socialist annual, and it was not until 1913 that these articles appeared in German in Neue Zeit. It was solely against this kind of “abolition” of the state that Marx fought in refuting the anarchists! He did not at all oppose the view that the state would disappear when classes disappeared, or that it would be abolished when classes were abolished. What he did oppose was the proposition that the workers should renounce the use of arms, organized violence, that is, the state, which is to serve to "crush the resistance of the bourgeoisie". To prevent the true meaning of his struggle against anarchism from being distorted, Marx expressly emphasized the "revolutionary and transient form" of the state which the proletariat needs. The proletariat needs the state only temporarily. We do not after all differ with the anarchists on the question of the abolition of the state as the aim. 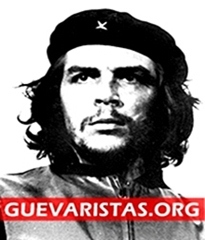 We maintain that, to achieve this aim, we must temporarily make use of the instruments, resources, and methods of state power against the exploiters, just as the temporary dictatorship of the oppressed class is necessary for the abolition of classes. Marx chooses the sharpest and clearest way of stating his case against the anarchists: After overthrowing the yoke of the capitalists, should the workers "lay down their arms", or use them against the capitalists in order to crush their resistance? But what is the systematic use of arms by ne class against another if not a "transient form" of state? Let every Social-Democrat ask himself: Is that how he has been posing the question of the state in controversy with the anarchists? Is that how it has been posed by the vast majority of the official socialist parties of the Second International? Engels expounds the same ideas in much greater detail and still more popularly. First of all he ridicules the muddled ideas of the Proudhonists, who call themselves "anti-authoritarians", i.e., repudiated all authority, all subordination, all power. Take a factory, a railway, a ship on the high seas, said Engels: is it not clear that not one of these complex technical establishments, based on the use of machinery and the systematic co-operation of many people, could function without a certain amount of subordination and, consequently, without a certain amount of authority or power? "... When I counter the most rabid anti-authoritarians with these arguments, they only answer they can give me is the following: Oh, that's true, except that here it is not a question of authority with which we vest our delegates, but of a commission! These people imagine they can change a thing by changing its name...."
Having thus shown that authority and autonomy are relative terms, that the sphere of their application varies with the various phases of social development, that it is absurd to take them as absolutes, and adding that the sphere of application of machinery and large-scale production is steadily expanding, Engels passes from the general discussion of authority to the question of the state. "Had the autonomists," he wrote, "contented themselves with saying that the social organization of the future would allow authority only within the bounds which the conditions of production make inevitable, one could have come to terms with them. But they are blind to all facts that make authority necessary and they passionately fight the word. "Why do the anti-authoritarians not confine themselves to crying out against political authority, the state? All socialists are agreed that the state, and with it political authority, will disappear as a result of the coming social revolution, that is, that public functions will lose their political character and become mere administrative functions of watching over social interests. But the anti-authoritarians demand that the political state be abolished at one stroke, even before the social relations that gave both to it have been destroyed. They demand that the first act of the social revolution shall be the abolition of authority. This argument touches upon questions which should be examined in connection with the relationship between politics and economics during the withering away of the state (the next chapter is devoted to this). These questions are: the transformation of public functions from political into simple functions of administration, and the "political state". This last term, one particularly liable to misunderstanding, indicates the process of the withering away of the state: at a certain stage of this process, the state which is withering away may be called a non-political state. Against, the most remarkable thing in this argument of Engels' is the way he states his case against the anarchists. Social-Democrats, claiming to be disciples of Engels, have argued on this subject against the anarchists millions of times since 1873, but they have not argued as Marxists could and should. The anarchist idea of abolition of the state is muddled and non-revolutionary--that is how Engels put it. It is precisely the revolution in its rise and development, with its specific tasks in relation to violence, authority, power, the state, that the anarchists refuse to see. The usual criticism of anarchism by present-day Social-Democrats has boiled down to the purest philistine banality: "We recognize the state, whereas the anarchists do not!" Naturally, such banality cannot but repel workers who are at all capable of thinking and revolutionary-minded. What Engels says is different. 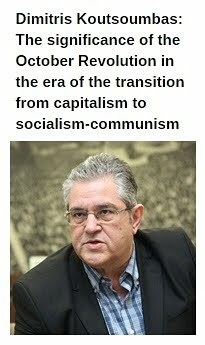 He stresses that all socialists recognize that the state will disappear as a result of the socialist revolution. He then deals specifically with the question of the revolution - the very question which, as a rule, the Social-Democrats evade out of opportunism, leaving it, so to speak, exclusively for the anarchists "to work out". And when dealing with this question, Engels takes the bull by the horns; he asks: should not the Commune have made more use of the revolutionary power of the state, that is, of the proletariat armed and organized as the ruling class? Prevailing official Social-Democracy usually dismissed the question of the concrete tasks of the proletariat in the revolution either with a philistine sneer, or, at best, with the sophistic evasion: "The future will show". And the anarchists were justified in saying about such Social-Democrats that they were failing in their task of giving the workers a revolutionary education. Engels draws upon the experience of the last proletarian revolution precisely for the purpose of making a most concrete study of what should be done by the proletariat, and in what manner, in relation to both the banks and the state. One of the most, if not the most, remarkable observation on the state in the works of Marx and Engels is contained in the following passage in Engels' letter to Bebel dated March 18-28, 1875. This letter, we may observe in parenthesis, was, as far as we know, first published by Bebel in the second volume of his memoirs (Aus meinem Leben), which appeared in 1911, i.e., 36 years after the letter had been written and sent. It should be borne in mind that this letter refers to the party programme which Marx criticized in a letter dated only a few weeks later than the above (Marx's letter is dated May 5, 1875), and that at the time Engels was living with Marx in London. Consequently, when he says “we” in the last sentence, Engels undoubtedly, in his own as well as in Marx's name, suggests to the leader of the German workers' party that the word “state” be struck out of the programme and replaced by the word “community”. 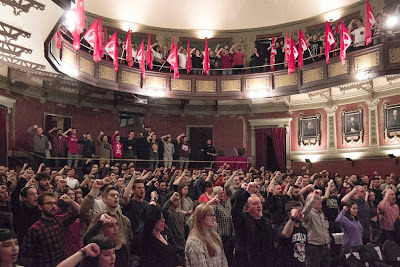 What a howl about “anarchism” would be raised by the leading lights of present-day “Marxism”, which has been falsified for the convenience of the opportunists, if such an amendment of the programme were suggested to them! Let them howl. This will earn them the praises of the bourgeoisie. And we shall go on with our work. In revising the programme of our Party, we must by all means take the advice of Engels and Marx into consideration in order to come nearer the truth, to restore Marxism by ridding it of distortions, to guide the struggle of the working class for its emancipation more correctly. Certainly no one opposed to the advice of Engels and Marx will be found among the Bolsheviks. The only difficulty that may perhaps arise will be in regard to the term. In German there are two words meaning “community”, of which Engels used the one which does not denote a single community, but their totality, a system of communities. In Russian there is no such word, and we may have to choose the French word “commune”, although this also has its drawbacks. "The Commune was no longer a state in the proper sense of the word"--this is the most theoretically important statement Engels makes. After what has been said above, this statement is perfectly clear. The Commune was ceasing to be a state since it had to suppress, not the majority of the population, but a minority (the exploiters). It had smashed the bourgeois state machine. In place of a special coercive force the population itself came on the scene. All this was a departure from the state in the proper sense of the word. And had the Commune become firmly established, all traces of the state in it would have "withered away" of themselves; it would not have had to “abolish” the institutions of the state--they would have ceased to function as they ceased to have anything to do. "The 'people's state' has been thrown in our faces by the anarchists". In saying this, Engels above all has in mind Bakunin and his attacks on the German Social-Democrats. Engels admits that these attacks were justified insofar as the "people's state" was as much an absurdity and as much a departure from socialism as the "free people's state". Engels tried to put the struggle of the German Social-Democrats against the anarchists on the right lines, to make this struggle correct in principle, to ride it of opportunist prejudices concerning the “state”. Unfortunately, Engels' letter was pigeon-holed for 36 years. We shall see farther on that, even after this letter was published, Kautsky persisted in virtually the same mistakes against which Engels had warned. Bebel replied to Engels in a letter dated September 21, 1875, in which he wrote, among other things, that he "fully agreed" with Engels' opinion of the draft programme, and that he had reproached Liebknecht with readiness to make concessions (p.334 of the German edition of Bebel's memoirs, Vol.II). But if we take Bebel's pamphlet, Our Aims, we find there views on the state that are absolutely wrong. This was printed in the ninth (ninth!) 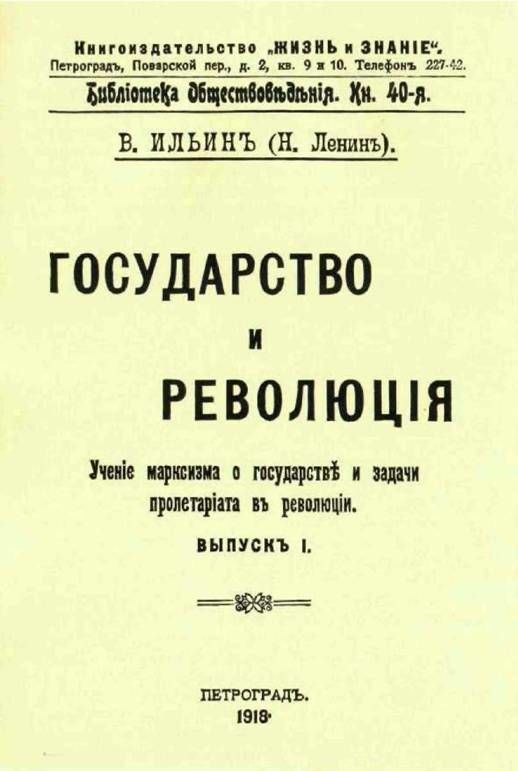 edition of Bebel's pamphlet! It is not surprising that opportunist views on the state, so persistently repeated, were absorbed by the German Social-Democrats, especially as Engels' revolutionary interpretations had been safely pigeon-holed, and all the conditions of life were such as to “wean” them from revolution for a long time. In analyzing Marxist teachings on the state, the criticism of the draft of the Erfurt Programme, sent by Engels to Kautsky on June 29, 1891, and published only 10 years later in Neue Zeit, cannot be ignored; for it is with the opportunist views of the Social-Democrats on questions of state organization that this criticism is mainly concerned. Here was have what is most essential in the theoretical appraisal of the latest phase of capitalism, i.e., imperialism, namely, that capitalism becomes monopoly capitalism. 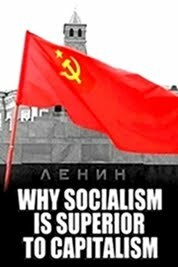 The latter must be emphasized because the erroneous bourgeois reformist assertion that monopoly capitalism or state-monopoly capitalism is no longer capitalism, but can now be called "state socialism" and so on, is very common. The trusts, of course, never provided, do not now provide, and cannot provide complete planning. But however much they do plan, however much the capitalist magnates calculate in advance the volume of production on a national and even on an international scale, and however much they systematically regulate it, we still remain under capitalism--at its new stage, it is true, but still capitalism, without a doubt. The “proximity” of such capitalism to socialism should serve genuine representatives of the proletariat as an argument proving the proximity, facility, feasibility, and urgency of the socialist revolution, and not at all as an argument for tolerating the repudiation of such a revolution and the efforts to make capitalism look more attractive, something which all reformists are trying to do. But to return to the question of the state. In his letter Engels makes three particularly valuable suggestions: first, in regard to the republic; second, in regard to the connection between the national question and state organization; and, third, in regard to local self-government. In regard to the republic, Engels made this the focal point of this criticism of the draft of the Erfurt Programme. And when we recall the importance which the Erfurt Programme acquired for all the Social- Democrats of the world, and that it became the model for the whole Second International, we may say without exaggeration that Engels thereby criticizes the opportunism of the whole Second International. "The political demands of the draft," engels wrote, "have one great fault. It lacks [Engels' italics] precisely what should have been said." And, later on, he makes it clear that the German Constitution is, strictly speaking, a copy of the extremely reactionary Constitution of 1850, that the Reichstag is only, as Wilhelm Liebknecht put it, "the fig leaf of absolutism" and that to wish "to transform all the instruments of labor into common property" on the basis of a constitution which legalizes the existence of petty states and the federation of petty German states is an "obvious absurdity". "To touch on that is dangerous, however," Engels added, knowing only too well that it was impossible legally to include in the programme the demand for a republic in Germany. But he refused to merely accept this obvious consideration which satisfied “everybody”. He continued: "Nevertheless, somehow or other, the thing has to be attacked. How necessary this is is shown precisely at the present time by opportunism, which is gaining ground [einreissende] in a large section of the Social-Democrat press. Fearing a renewal of the Anti-Socialist Law, or recalling all manner of overhasty pronouncements made during the reign of that law, they now want the Party to find the present legal order in Germany adequate for putting through all Party demands by peaceful means...."
"... in Germany, where the government is almost omnipotent and the Reichstag and all other representative bodies have no real power, to advocate such a thing in Germany, where, moreover, there is no need to do so, means removing the fig leaf from absolutism and becoming oneself a screen for its nakedness." The great majority of the official leaders of the German Social- Democratic Party, which pigeon-holed this advice, have really proved to be a screen for absolutism. "If one thing is certain it is that our party and the working class can only come to power in the form of the democratic republic. This is even the specific form for the dictatorship of the proletariat, as the Great French Revolution has already shown...."
Engels realized here in a particularly striking form the fundamental idea which runs through all of Marx's works, namely, that the democratic republic is the nearest approach to the dictatorship of the proletariat. For such a republic, without in the least abolishing the rule of capital, and, therefore, the oppression of the masses nd the class struggle, inevitably leads to such an extension, development, unfolding, and intensification of this struggle that, as soon as it becomes possible to meet the fundamental interests of the oppressed masses, this possibility is realized inevitably and solely through the dictatorship of the proletariat, through the leadership of those masses by the proletariat. These, too, are "forgotten words" of marxism for the whole of the Second International, and the fact that they have been forgotten was demonstrated with particular vividness by the history of the Menshevik Party during the first six months of the Russian revolution of 1917. "What should take the place of the present-day Germany [with its reactionary monarchical Constitution and its equally reactionary division into petty states, a division which perpetuates all the specific features of “Prussianism” instead of dissolving them in Germany as a whole]? In my view, the proletariat can only use the form of the one and indivisible republic. In the gigantic territory of the United States, a federal republic is still, on the whole, a necessity, although in the Eastern states it is already becoming a hindrance. It would be a step forward in Britain where the two islands are peopled by four nations and in spite of a single Parliament three different systems of legislation already exist side by side. In little Switzerland, it has long been a hindrance, tolerable only because Switzerland is content to be a purely passive member of the European state system. For Germany, federalization on the Swiss model would be an enormous step backward. Two points distinguish a union state from a completely unified state: first, that each member state, each canton, has its own civil and criminal legislative and judicial system, and, second, that alongside a popular chamber there is also a federal chamber in which each canton, whether large or small, votes as such." In Germany, the union state is the transition to the completely unified state, and the "revolution from above" of 1866 and 1870 must not be reversed but supplemented by a "movement from below". Far from being indifferent to the forms of state, Engels, on the contrary, tried to analyze the transitional forms with the utmost thoroughness in order to establish, in accordance with the concrete historical peculiarities of each particular case, from what and to what the given transitional form is passing. Approaching the matter from the standpoint of the proletariat and the proletarian revolution, Engels, like Marx, upheld democratic centralism, the republic--one and indivisible. He regarded the federal republic either as an exception and a hindrance to development, or as a transition from a monarchy to a centralized republic, as a "step forward" under certain special conditions. And among these special conditions, he puts the national question to the fore. Although mercilessly criticizing the reactionary nature of small states, and the screening of this by the national question in certain concrete cases, Engels, like Marx, never betrayed the slightest desire to brush aside the national question--a desire of which the Dutch and Polish Marxists, who proceed from their perfectly justified opposition to the narrow philistine nationalism of “their” little states, are often guilty. Even in regard to britain, where geographical conditions, a common language and the history of many centuries would seem to have "put an end" to the national question in the various small divisions of the country--even in regard to to that country, Engels reckoned with the plain fact that the national question was not yet a thing of the past, and recognized in consequence that the establishment of a federal republic would be a "step forward". Of course, there is not the slightest hint here of Engels abandoning the criticism of the shortcomings of a federal republic or renouncing the most determined advocacy of, and struggle for, a unified and centralized democratic republic. "So, then, a unified republic--but not in the sense of the present French Republic, which is nothing but the Empire established in 1798 without the Emperor. From 1792 to 1798 each French department, each commune [Gemeinde], enjoyed complete self-government on the American model, and this is what we too must have. How self-government is to be organized and how we can manage, without a bureaucracy has been shown to us by America and the first French Republic, and is being shown even today by Australia, Canada and the other English colonies. And a provincial [regional] and communal self-government of this type is far freer than, for instance, Swiss federalism, under which, it is true, the canton is very independent in relation to the Bund [i.e., the federated state as a whole], but is also independent in relation to the district [Bezirk] and the commune. The cantonal governments appoint the district governors [Bezirksstatthalter] and prefects--which is unknown in English-speaking countries and which we want to abolish here as resolutely in the future as the Prussian Landrate and Regierungsrate" (commissioners, district police chiefs, governors, and in general all officials appointed from above). Accordingly, Engels proposes the following words for the self-government clause in the programme: "Complete self-government for the provinces [gubernias or regions], districts and communes through officials elected by universal suffrage. The abolition of all local and provincial authorities appointed by the state." I have already had occassion to point out--in Pravda (No.68, May 28, 1917), which was suppressed by the government of Kerensky and other “socialist” Ministers--how on this point (of course, not on this point alone by any mens) our pseudo-socialist representatives of pseudo- revolutionary pseudo-democracy have made glaring departures from democracy. Naturally, people who have bound themselves by a “coalition” to the imperialist bourgeoisie have remained deaf to this criticism. It is extremely important to note that Engels, armed with facts, disproved by a most precise example the prejudice which is very widespread, particularly among petty-bourgeois democrats, that a federal republic necessarily means a greater amount of freedom than a centralized republic. This is wrong. It is disproved by the facts cited by Engels regarding the centralized French Republic of 792-98 and the federal Swiss Republic. The really democratic centralized republic gave more freedom that the federal republic. In other words, the greatest amount of local, regional, and other freedom known in history was accorded by a centralized and not a federal republic. Insufficient attention has been and is being paid in our Party propaganda and agitation to this fact, as, indeed, to the whole question of the federal and the centralized republic and local self-government. The 1891 Preface to Marx's "The Civil War in France"
In his preface to the third edition of The Civil War in France (this preface is dated March 18, 1891, and was originally published in Neue Zeit), Engels, in addition to some interesting incidental remarks on questions concerning the attitude towards the state, gave a remarkably vivid summary of the lessons of the Commune. 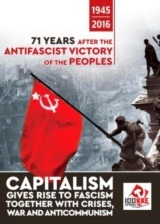 This summary, made more profound by the entire experience of the 20 years that separated the author from the Commune, and directed expressly against the "superstitious belief in the state" so widespread in Germany, may justly be called the last word of Marxism on the question under consideration. In France, Engels observed, the workers emerged with arms from every revolution: "therefore the disarming of the workers was the first commandment for the bourgeois, who were at the helm of the state. Hence, after every revolution won by the workers, a new struggle, ending with the defeat of the workers." This summary of the experience of bourgeois revolutions is as concise as it is expressive. The essence of the matter--among other things, on the question of the state (has the oppressed class arms?) --is here remarkably well-grasped. It is precisely this essence that is most often evaded by both professors influenced by bourgeois ideology, and by petty-bourgeois democrats. In the Russian revolution of 1917, the honor (Cavaignac honor) of blabbing this secret of bourgeois revolutions fell to the Menshevik, would-be Marxist, Tsereteli. In his “historic” speech of June 11, Tsereteli blurted out that the bourgeoisie were determined to disarm the Petrograd workers--presenting, of course, this decision as his own, and as a necessity for the “state” in general! Tsereteli's historical speech of June 11 will, of course, serve every historian of the revolution of 1917 as a graphic illustration of how the Social-Revolutionary and Menshevik bloc, led by Mr. Tsereteli, deserted to the bourgeoisie against the revolutionary proletariat. "As almost only workers, or recognized representatives of the workers, sat in the Commune, its decisions bore a decidedly proletarian character. Either they decreed reforms which the republican bourgeoisie had failed to pass solely out of cowardice, but which provided a necessary basis for the free activity of the working class--such as the realization of the principle that in relation to the state religion is a purely private matter--or the Commune promulgated decrees which were in the direct interest of the working class and in part cut deeply into the old order of society." Engels deliberately emphasized the words "in relation to the state" as a straight thrust at at German opportunism, which had declared religion to be a private matter in relation to the party, thus degrading the party of the revolutionary proletariat to the level of the most vulgar "free- thinking" philistinism, which is prepared to allow a non-denominational status, but which renounces the party struggle against the opium of religion which stupifies the people. 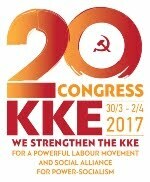 The future historian of the German Social-Democrats, in tracing the roots of their shameful bankruptcy in 1914, will find a fair amount of interesting material on this question, beginning with the evasive declarations in the articles of the party's ideological leader, Kautsky, which throw the door wide open to opportunism, and ending with the attitude of the party towards the "Los-von-Kirche-Bewegung" (the "Leave-the-Church" movement) in 1913. But let us see how, 20 years after the Commune, Engels summed up its lessons for the fighting proletariat. "... It was precisely the oppressing power of the former centralized government, army, political parties, bureaucracy, which Napoleon had created in 1798 and which every new government had since then taken over as a welcome instrument and used against its opponents--it was this power which was to fall everywhere, just as it had fallen in Paris. "From the very outset the Commune had to recognize that the working class, once in power, could not go on managing with the old state machine; that in order not to lose again its only just-gained supremacy, this working class must, on the one hand, do away with all the old machinery of oppression previously used against it itself, and, on the other, safeguard itself against its own deputies and officials, by declaring them all, without exception, subject to recall at any time...."
Engels emphasized once again that not only under a monarchy, but also under a democratic republic the state remains a state, i.e., it retains its fundamental distinguishing feature of transforming the officials, the 'servants of society", its organs, into the masters of society. "Against this transformation of the state and the organs of the state from servants of society into masters of society--an inevitable transformation in all previous states--the Commune used two infallible means. In the first place, it filled all posts--administrative, judicial, and educational--by election on the basis of universal suffrage of all concerned, subject to recall at any time by the electors. And, in the second place, it paid all officials, high or low, only the wages received by other workers. The highest salary paid by the Commune to anyone was 6,000 francs. 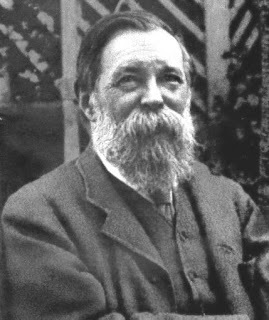 In this way a dependable barrier to place-hunting and careerism was set up, even apart from the binding mandates to delegates to representative bodies, which were added besides...."
Engels here approached the interesting boundary line at which consistent democracy, on the one hand, is transformed into socialism and, on the other, demands socialism. For, in order to abolish the state, it is necessary to convert the functions of the civil service into the simple operations of control and accounting that are within the scope and ability of the vast majority of the population, and, subsequently, of every single individual. And if careerism is to be abolished completely, it must be made impossible for “honorable” though profitless posts in the Civil Service to be used as a springboard to highly lucrative posts in banks or joint-stock companies, as constantly happens in all the freest capitalist countries. Engels, however, did not make the mistake some Marxists make in dealing, for example, with the question of the right of nations to self- determination, when they argue that is is impossible under capitalism and will be superfluous under socialism. This seemingly clever but actually incorrect statement might be made in regard to any democratic institution, including moderate salaries for officials, because fully consistent democracy is impossible under capitalism, and under socialism all democracy will wither away. This is a sophism like the old joke about a man becoming bald by losing one more hair. To develop democracy to the utmost, to find the forms for this development, to test them by practice, and so fort--all this is one of the component tasks of the struggle for the social revolution. Taken separately, no kind of democracy will bring socialism. But in actual life democracy will never be "taken separately"; it will be "taken together" with other things, it will exert its influence on economic life as well, will stimulate its transformation; and in its turn it will be influenced by economic development, and so on. This is the dialectics of living history. "... This shattering [Sprengung] of the former state power and its replacement by a new and truly democratic one is described in detail in the third section of The Civil War. But it was necessary to touch briefly here once more on some of its features, because in Germany particularly the superstitious belief in the state has passed from philosophy into the general consciousness of the bourgeoisie and even of many workers. According to the philosophical conception, the state is the 'realization of the idea', or the Kingdom of God on earth, translated into philosophical terms, the sphere in which eternal truth and justice are, or should be, realized. And from this follows a superstitious reverence for the state and everything connected with it, which takes root the more readily since people are accustomed from childhood to imagine that the affairs and interests common to the whole of society could not be looked after other than as they have been looked after in the past, that is, through the state and its lucratively positioned officials. And people think they have taken quite an extraordinary bold step forward when they have rid themselves of belief in hereditary monarchy and swear by the democratic republic. In reality, however, the state is nothing but a machine for the oppression of one class by another, and indeed in the democratic republic no less than in the monarchy. And at best it is an evil inherited by the proletariat after its victorious struggle for class supremacy, whose worst sides the victorious proletariat will have to lop off as speedily as possible, just as the Commune had to, until a generation reared in new, free social conditions is able to discard the entire lumber of the state." Engels warned the Germans not to forget the principles of socialism with regard to the state in general in connection with the substitution of a republic for the monarchy. His warnings now read like a veritable lesson to the Tseretelis and Chernovs, who in their “coalition” practice have revealed a superstitious belief in, and a superstitious reverence for, the state! Two more remarks. 1. Engels' statement that in a democratic republic, "no less" than in a monarchy, the state remains a "machine for the oppression of one class by another" by no means signifies that the form of oppression makes no difference to the proletariat, as some anarchists “teach”. A wider, freer and more open form of the class struggle and of class oppression vastly assists the proletariat in its struggle for the abolition of classes in general. 2. Why will only a new generation be able to discard the entire lumber of the state? This question is bound up with that of overcoming democracy, with which we shall deal now. Engels came to express his views on this subject when establishing that the term "Social-Democrat" was scientifically wrong. In a preface to an edition of his articles of the seventies on various subjects, mostly on “international” questions (Internationales aus dem Volkstaat), dated January 3, 1894, i.e., written a year and a half before his death, Engels wrote that in all his articles he used the word “Communist”, and not "Social-Democrat", because at that time the Proudhonists in France and the Lassalleans in Germany called themselves Social-Democrats. "... For Marx and myself," continued Engels, "it was therefore absolutely impossible to use such a loose term to characterize our special point of view. Today things are different, and the word ["Social-Democrat"] may perhaps pass muster [mag passieren], inexact [unpassend, unsuitable] though it still is for a party whose economic programme is not merely socialist in general, but downright communist, and whose ultimate political aim is to overcome the whole state and, consequently, democracy as well. The names of real political parties, however, are never wholly appropriate; the party develops while the name stays." The dialectician Engels remained true to dialectics to the end of his days. Marx and I, he said, had a splendid, scientifically exact name for the party, but there was no real party, i.e., no mass proletarian party. Now (at the end of the 19th century) there was a real party, but its name was scientifically wrong. Never mind, it would "pass muster", so long as the party developed, so long as the scientific in accuracy of the name was not hidden from it and did not hinder its development on the right direction! Perhaps some wit would console us Bolsheviks in the manner of Engels: we have a real party, it is developing splendidly; even such a meaningless and ugly term as “Bolshevik” will "pass muster", although it expresses nothing whatever but the purely accidental fact that at the Brussels-London Congress of 1903 we were in the majority. Perhaps now that the persecution of our Party by republicans and “revolutionary” petty-bourgeois democrats in July and August has earned the name “Bolshevik” such universal respect, now that, in addition, this persecution marks the tremendous historical progress our Party has made in its real development--perhaps now even I might hesitate to insist on the suggestion I made in April to change the name of our Party. Perhaps I would propose a “compromise” to my comrades, namely, to call ourselves the Communist Party, but to retain the word “Bolshevik” in brackets. But the question of the name of the Party is incomparably less important than the question of the attitude of the revolutionary proletariat to the state. In the usual argument about the state, the mistake is constantly made against which Engels warned and which we have in passing indicated above, namely, it is constantly forgotten that the abolition of the state means also the abolition of democracy; that the withering away of the state means the withering away of democracy. At first sight this assertion seems exceedingly strange and incomprehensible; indeed, someone may even suspect us of expecting the advent of a system of society in which the principle of subordination of the minority to the majority will not be observed--for democracy means the recognition of this very principle. No, democracy is not identical with the subordination of the minority to the majority. Democracy is a state which recognizes the subordination of the minority to the majority, i.e., an organization for the systematic use of force by one class against another, by one section of the population against another. We set ourselves the ultimate aim of abolishing the state, i.e., all organized and systematic violence, all use of violence against people in general. We do not expect the advent of a system of society in which the principle of subordination of the minority to the majority will not be observed. 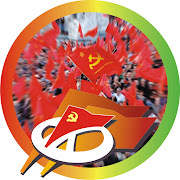 In striving for socialism, however, we are convinced that it will develop into communism and, therefore, that the need for violence against people in general, for the subordination of one man to another, and of one section of the population to another, will vanish altogether since people will become accustomed to observing the elementary conditions of social life without violence and without subordination. In order to emphasize this element of habit, Engels speaks of a new generation, "reared in new, free social conditions", which will "be able to discard the entire lumber of the state"—of any state, including the democratic-republican state. In order to explain this, it is necessary to analyze he economic basis of the withering away of the state.